Mr. Maroon is a member of the Real Estate and Land Use and Environmental practice groups in the firm’s San Francisco office. His practice focuses on land use planning and entitlement procedures, compliance and litigation involving endangered species, wetlands, and water quality, and related issues arising under state and federal environmental laws. Mr. Maroon assists developers and property owners in obtaining subdivision maps, density bonuses, development agreements, and other land use approvals. He also guides clients through the California Environmental Quality Act and National Environmental Policy Act compliance processes. Mr. Maroon has experience obtaining and implementing natural resource permits for large residential, commercial, and mixed-use projects and conducting environmental due diligence for renewable energy projects. He also advises clients on a range of state and federal regulatory matters, including endangered species, wetlands, water rights, and water quality. Mr. Maroon also litigates complex real estate, land use, and environmental matters in state and federal courts. Mr. Maroon’s real estate litigation experience includes disputes arising out of leases, purchase and sale agreements, and development agreements. His land use litigation practice broadly encompasses disputes under CEQA and California’s Housing Accountability Act, Planning and Zoning Law, and eminent domain laws. His environmental litigation practice includes cost recovery actions, regulatory enforcement actions, and state and federal permit defense. 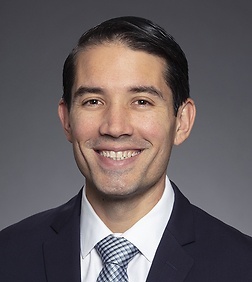 Mr. Maroon maintains an active pro bono practice and is a member of the California Lawyers Association’s standing Committee on Administration of Justice.